When therefore the Bible speaks of “the true God” and, or “the true vine” (as the Nicene Creed put it, “Very God of very God”), this Greek word alethinos, is defined as “true, real, genuine” and is used abundantly in various passages as a predicate (examples: MATT 22:16; MARK 5:33; 12:32; JOHN 3:33; 7:28; 8:44-46; 17:3; ROM 1:25; EPH 4:25; 1 THESS 1:9; REV 6:10). These declare that God fulfills the meaning of His Name; He is “very God” in distinction from all other ‘gods’. He is absolutely true in His declarations and self-revelation, and He cannot lie. The New Testament brings greater clarity (due to greater, that is to say, more complete revelation) of the Truth. Truth is associated not only with fidelity and justice, but also with knowledge and revelation. This was assisted in the mundane by the eloquence of the Greek language, and its mathematical-like precision in its usage of words and syntax. As one begins to delve into the Greek language, as with any language, it helps to understand the mind set, the culture and philosophies of that particular ethnic group. The Christian must show caution in studying the Greek language within its context, as the Greek culture was inundated with something called Platonic dualism. Truth as seen in the philosophies of the Greeks and most especially among certain branches of the Gnostics, is only pure and viable in its spiritual/mental state, and therefore cannot be experienced in the physical realm as it really is. Thus God is unknowable by the unenlightened (animal) man, and any connection to a heavenly state must by necessity be separate from this world. However the Bible doesn’t teach this at all, since Truth is embodied in the Person of Jesus Christ, as it states in JOHN 1:14, “. . . the Word became flesh . . . (and we beheld His glory, the glory as of the only begotten of the Father) full of grace and truth.” Further the scriptures teach that the Kingdom of Heaven will know a visible, actual revelation and manifestation here on this Earth, inaugurated and ruled by the LORD Jesus Christ Who shall physically reign as King in Jerusalem, during the millennial reign. Essentially, while New Testament writers used Greek words and terms, they did so with a predominant view and doctrines from the Old Testament scriptures, such as the belief that the true God is not hidden (or mysteriously unknowable), but acts and speaks with openness that is wholly trustworthy. 1) Moral truth – Truth is an attribute of God. As such the term speaks of His integrity; His trustworthiness, His faithfulness. It is celebrated by the Hebrew poet throughout the PSALMS (89) and by the prophet HOSEA (2:19-23); in both cases in association with mercy and love of God. According to DEUT 32:4; PSALM 100:5 and 146:6, His faithfulness is revealed in creation; and in the Apocalypse it is this attribute of God on which rests the expectation of judgment (REV 3:7,14; 6:10; 15:3,4; 19:1; 21:5). “Since the character of God is to be emulated by men, truth in the same sense is to be a moral attribute of men, It entails honesty (PSALM 15:2; EPH 4:25) and civil justice (ISAIAH 59:4,14-15) as well. 2) “Ontological truth (don’t let that BIG word scare you!) – Arising from the concept of one who is wholly trustworthy is the further concept of one who is truly what he purports to be, rather than being a deceiver, living a fiction, or being an imperfect example. In this sense “the true light” (JOHN 1:9) is to perfection the kind of light John the Baptist was in part and for which he prepared; “the true bread” JOHN 6:32) contrasts with the imperfect manna; and “true worshipers” (JOHN 4:23) contrast with those whose worship was still anticipatory. The Thessalonians, moreover, turned from their idols to serve “the true God” (1 THESS 1:9). 3) “Cognitive truth – A further outcome of moral truth is that one speaks truth and not falsehood. In God, truthfulness stems from omniscience, so that the attribute of truth refers in part to His perfect knowledge (JOB 28:20-26; 38; 39). Since He is Creator, whatever else we know depends on Him. 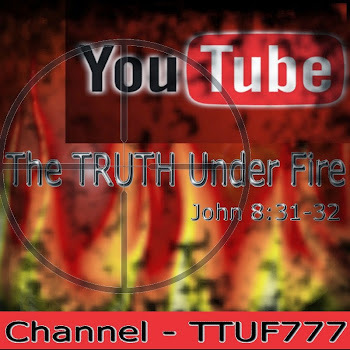 All truth [if it is in all actuality, truth in accordance with God’s Word] is God’s truth. Our cognitive abilities are His creation, and the intelligibility of nature attests to His wisdom. God’s knowledge is therefore archetypal (1) and ours ectypal (2). 1. Archetypal theology is the understanding which the Triune God has always had of Himself, and of every other fact or possibility. Therefore God has a theology apart from our experience of Him or His self-revelation to us. What Is Archetypal and Ectypal theology? “What we declare true is therefore contingent, limited, and provisional. We “see in a mirror dimly” and “know in part” (1 COR 13:12). But archetypal truth is unlimited, unchanging and absolute. 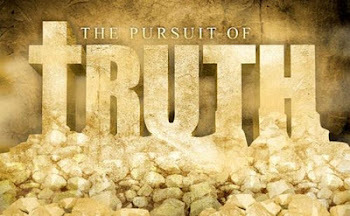 Truth for man is still in the making [as in the discovering and understanding of it, as found in God’s Word; “knowledge shall increase” (DAN 12:4)] but truth for God is complete [eternally so]. “This is expressed in John’s Logos-concept and Paul’s discussion in the Colossian epistle of the Christ “in whom are hid all the treasures of wisdom and knowledge”. It is the Christ, by whom all things were made and are sustained who gives intelligible order and purpose to nature and history. To know Him is to know the omniscient source of all knowledge – not to know all He knows, but to understand how wisdom and knowledge are at all possible. He is is who guarantees the trustworthiness of the truth we acquire. Here we end the first half of this article, part 2a of GOT TRUTH; the second half will be immediately posted for your review!